The story of Savagnin the grape, and of the many various sorts of wines made from it, is an epic, or perhaps a saga—certainly a long and winding tale. Have a little patience with this one. The complexities arise because we are at the intersection of a complex grape history and a collection of complex and unusual winemaking techniques. Let's start with the grape. Once upon a time, long, long ago in a land far across the sea, there lived a grape. The grape was called Traminer, and it was a good, respected grape. Now grapes spin off mutations with remarkable facility, and in time Traminer generated an offspring called Red (or Rose) Traminer, and another called Yellow Traminer (the original, to distinguish, being Green Traminer). Later, Red Traminer spun off a variant that was quite a bit different from its forebears, being notably powerful in aromas and flavors, and this was generally called "perfumed Traminer" and other names of the sort; in time, it came to be generally known as "Gewurztraminer". Meanwhile, however, its grandparent, the original Traminer, though almost universally displaced in its homelands by the new Gewurztraminer (which in the original had no umlaut over the u), had migrated, in that way grapes have, from the Tyrol to a small region of France tucked between Burgundy and the French-Swiss border, a region called the Jura. 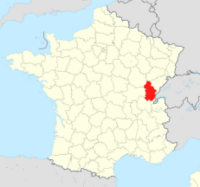 It had, in fact, reached the Jura by at least as early as the 1300s; and in that region, it was given a new name, Savagnin. Yes, Savagnin is simply that old-timer, Traminer, in a new home under a new name. 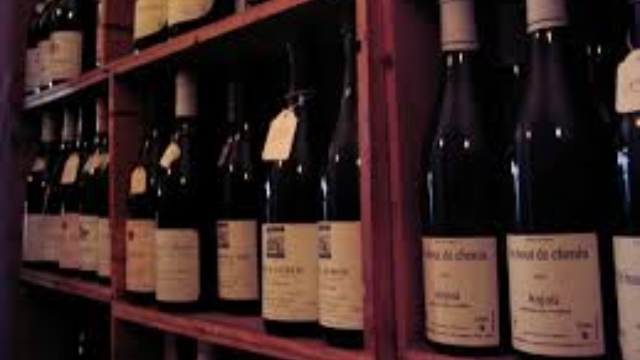 (This glosses over many complications in names and claims, such as Alsace's Klevener, and German winemakers' refusal to distinguish between Red Traminer, Gewürztraminer, and Savagnin.) Incidentally, to add to the fun, Savagnin is not infrequently also called "Savagnin Blanc"; worse, it is also often called "Naturé", which is also a term sometimes used for ouillé wines (patience, patience), so a Naturé might not be Naturé the grape, but Chardonnay made oiullé. Enjoy. The Jura is not only home to a small family of grape types virtually unknown elsewhere (Savagnin, Poulsard, Trousseau), but also to wine-making techniques all its own. To understand their distinctiveness, we need to look at what is usually considered a minor detail of wine-making, the handling of ullage, the air space that develops in wine barrels as the stored wine slowly evaporates away through the barrel sides. 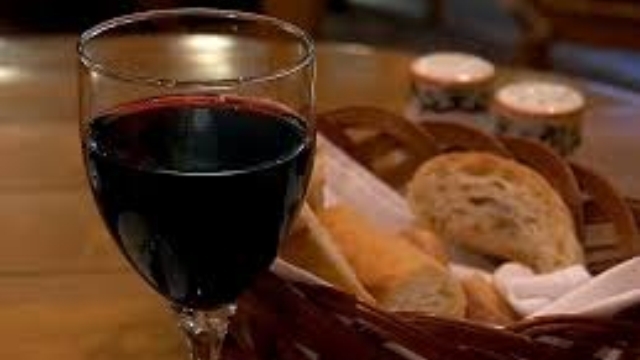 Wine that is left in contact with air for any length of time undergoes the chemical process called oxidation, which is essentially the same process as rusting or burning; oxidation dramatically changes the nature of wine in a way considered highly undesireable, and anyone who drinks wine frequently will have encountered the occasional undrinkable bottle of oxidized wine (usually from defective corkage). 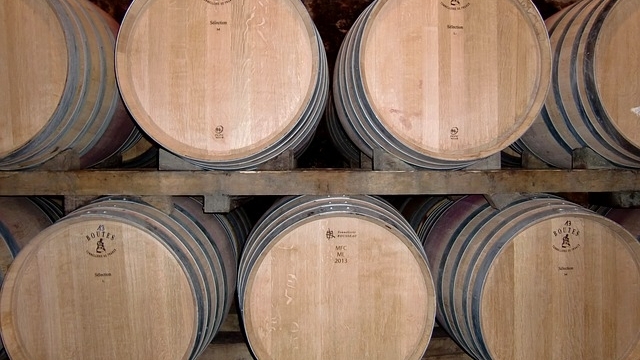 In winemaking, the development of barrel ullage is typically obviated by the simple process of occasionally topping up the barrel, to keep it dead full (or close to it), minimizing that air contact. But sometimes winemakers allow controlled amounts of oxidation to produce a wanted specific result; the most notable example is sherry, oxidized wine (usually of the very bland Palomino grape). Another equally distinctive example is the Jura's vin jaune, which is oxidative wine from the Savagnin grape. Vin Jaune differs from sherry in two notable ways: first, it is not fortified—the resultant wine is a true table wine, at least as far as alcohol content goes; and second, there is no equivalent of sherry's solera system, which blends various vintages in a staged manner. A given vin jaune is entirely one year's vintage. The details of making vin jaune are too lengthy to treat here, but the link in this sentence will take you to the Wikipedia article on it. The essential point about Jura white-wine-making is that there are two approaches: ouillé and sous-voile. Ouillé (obviously cognate to ullage) is wine made in the way everyone else does it: with the ullage topped off to avoid oxidation; sous-voile ("with veil", referring to the "veil" of yeasts that float on the developing wine, analogous to the "flor" of sherry) is wine made in the special Jura manner. (In the Arbois apellation, they use "Naturé" on the label instead of Ouillé; lacking one of those two terms, a Jura wine designated "Savagnin" will be sous-voile.) Incidentally, "ouillé" wines are sometimes also described as "ouch" (pronounced OOSH), just to keep the wheel of confusion spinning. There are Jura wines that are sort of half-way wines: they started out on the way to being full-blown sous-voile vin jaune, but something along the way went amiss, while yet yielding a palatable wine—just one that hasn't gone the full 6 years and 3 months required to legally qualify as vin jaune. These half-way wines (sometimes blended with some chardonnay) have various designations, with Naturé du Jura being one common one. It is wise indeed for the potential buyer of a French "Savagnin" to know whether it was made wholly ouillé or at least partly sous-voile. Both sorts can be excellent wines, but they are dramatically different experiences. Also, there is the not uncommon phenomenon of people tasting fully oiullé Savagnin detecting what seem to be oxidized tastes. Perhaps its the old barrels in which it is aged, or perhaps it's just psychological, but it does happen. And here the twisty, turny tale of Savagnin takes yet another lurch. A few years ago, winemakers in Australia thought to try adding the Spanish variety Albariño to their growing arsenal, and they imported some vines through their central national wine-control authority. After clearance (to verify no viruses), the vines were planted and were produing some very satisfactory Albariños getting serious attention. Except that they weren't, after all, Albariños. A visiting French expert took a look, submitted the vines to DNA testing, and discovered that all the Australians were in fact growing Savagnin— a classification error had been made by the European source providing the original cuttings. Naturally, the Australians had to step hard on the brakes and pull a sharp right turn. They had to reinvest in new labels, new advertising, the whole complex ball of wax. And instead of a wine that is well-known on the international scene and of rapidly rising popularity, they had this singular, very little-known type with a name that 96.27% of consumers were bound to mistake for "Sauvignon", a wine popular in Australia and nothing like what Savagnin makes. Well, they did it. And here is another of those little wine miracles: Australian Savagnin is really taking off. They had an earlier chance with Verdelho, but couldn't coordinate their marketing; this time, they seem to have taken the lesson, and are intelligently marketing their new discovery, Savagnin. One writer has noted that if the burgeoning Chinese wine market can be pursuaded away from their current huge (and, with respect to their cuisine, inappropriate) fancy for reds, Savagnin could become a worldwide big-ticket varietal sometime soon. The taste of non-oxidative Savagnin wines is variously described, but its essence seems to be tropical fruit strongly balanced by a citrusy lemon streak, and—repeated several times—a "savory" quality (which doesn't help much because that's a word with a rather indefinite referent). The wines are generally described as medium-bodied, with good acidity. 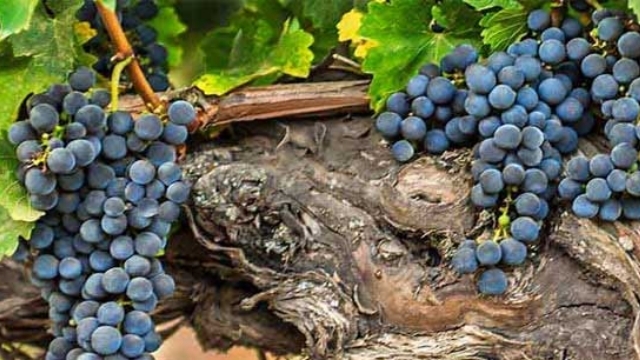 Recalling the grape's ancestry, we should perhaps give some credence to one reviewer's description of it as "a bit like Riesling but with greater texture". Savagnin is also produced in Jura's neighbor, Switzerland, where it is known as Heida, or sometimes (names, names!) as Païen. Such wines, like many Swiss wines, seem rarely to leave the country, and the few available in the U.S. are far outside our price range. Factoid: Vin Jaune seems almost inseparable from the regional cheese specialty, Comté, with which it is universally accepted as the perfect pairing. "Naturé and Ouillé wines show Savagnin in its purest form. They are light, elegant and refreshing, with floral and citrus notes. Think Sauvignon Blanc minus the grassy notes, or a non-oaked Chardonnay. You’ll taste flavors that may include white flowers, honeysuckle, orange, lemon zest, apricot, pear, white peach, white grapefruit and anise." Wink Lorch, "Jura Wine, Food and Travel"
"I have loved many producers' Savagnin Ouillé wines since I first tasted them around 10 years ago as they show the true flavours of this fascinating grape – in particular a vivid lemon character, but also floral, and often the mineral character that is so typical of Jura, I find can be really harnessed in Savagnin Ouillé." "Whilst the style and quality of these Savagnin varies, the underlying varietal character and flavor of this grape variety has been there in every wine I have tried so far. . . The really interesting and encouraging thing is that to date every single white wine drinker with whom I have tried Savagnin, has liked the variety because of its character and depth of flavor. I have heard it described as 'a bit like Riesling but with greater texture', which I think is very apt." "With these new styles, we are finally discovering what the grape tastes like with an almost lemon peel character and potentially raging acidity, that can be perfectly balanced as long as the grapes are picked fully ripe." "It’s quite savory at first impression, with the aromatics showing slightly after. Savory suggestions extend to texture as well as flavor. It’s hard to disentangle savory and aromatic influences on the finish." "In the glass, the wine was a medium gold color with a very aromatic nose of peaches and apricots, honey, melon, honeysuckle and flowers. On the palate, the wine was medium bodied with high acidity and flavors of lemon, grapefruit, honeysuckle, apricot, ripe apples, creamy citrus and a touch of nuttiness. The wine was wonderfully balanced as the creamy mouthfeel was grounded very nicely with a solid, nervy vein of acidity which can be distractingly high as the wine warms towards room temperature. The flavors and aromas were complex and well-integrated." "These wines are worth seeking out, very food friendly with lovely fresh lemony flavours - they may have been oak aged or not, and sold from 1–4 years old." "Despite viticultural & winemaking differences in the way the various wines were made across the country, the tasting demonstrated that with the exception of one example . . which was a late picked style, the other wines had in common an underlying varietal characteristic. They were medium to full bodied, mouth filling, zesty with crisp fruit, good acidity and an almost savoury finish." Excepting the plainly labelled Australian Savagnins, it is often hard to discover exactly what a given Savagnin-based wine is. Vin Jaune proper is easy, but for the others, there is a plethora of labellings. "Ouillé" is fairly clear, but not all ouillé wines are so designated; also, some blends with Chardonnay are hard to distinguish. Or if one looks for "Traminer", the great majority of wines so designated are not in fact Traminer but Gewürztraminer stubbornly mis-labelled (usually by German winemakers, but also by Hungarians and Italians). When out hunting on your own, more than ever keep caveat emptor in mind. The sad fact is that there are no Savignan table-wine bottlings available within our price range in the U.S. The several nice Aussie wines at reasonable prices just aren't reaching these shores, at least not yet. Sorry. Some Savignans findable but too scarce for us to regularly list, but for which you can keep an eye out, include: Vartely Traminer "Matur"; Vartely Traminer "Villa D'or"; Rolet Pere & Fils Arbois Nature; and Zonte's Footstep "The Love Symbol". By opening up the price range, one finds at least a few good Savignan wines available. A plausible sample would be Evelyne & Pascal Clairet's Domaine de la Tournelle Arbois "Fleur de Savagnin", which appears to be a fully ouillé rendition.